Lights out? Check! Blanket to hide under? Check! October means Halloween, and what better way to celebrate the scariest month of the year, now that we’re too old to go trick or treating, than to settle in for a spine-chilling gaming sesh? Looking for something other than the well-known AAA horror titles such as Resident Evil 7 or Until Dawn? Keep reading as instead we celebrate 5 spooky horror games offerings from talented indie developers! Following a successful Kickstarter campaign, this Early Access title is unbelievably the first game that Sadsquare Studios has ever released. Think P.T. crossed with Stephen King’s 1408 – a psychological horror game where you piece together clues to escape a hellish house and try to hold onto your sanity in the process. Released this month on Steam, this first-person indie horror has you searching the endless rooms and maze-like corridors of a haunted house for clues of the dark past of the families that lived and died there. 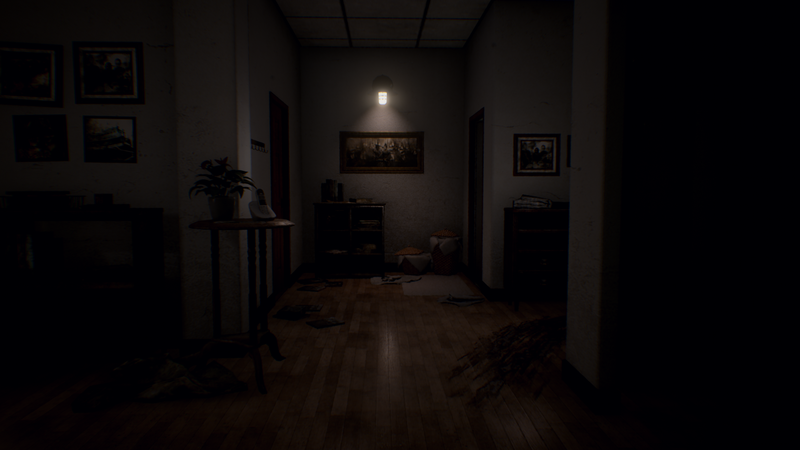 I felt a creeping sense of dread as I navigated the house with its realistic ambient noises, floor creaks, and doors that seemingly slam on their own. There was very little in the way of instruction, which is deliberate; it makes you feel as though you’re completely on your own. Hide from the spirits who try to drag you to your death – without weapons to defend yourself. What scores this game extra scare points for me is that the house feels like real living quarters, with its impressive graphics, authentic lighting, and first-person view. With headphones on, you can easily forget you’re just playing a game. A mix of mind-addling twists and jumpscares, Visage is well worth picking up. Just make sure you have a pet or loved one nearby to squeeze at regular intervals! Based on Thai mythology, Home Sweet Home is another terrifying realistic horror, which has been out on PC for a year but introduced to consoles this month. You play as Tim, a broken man following the disappearance of his wife, who wakes up in an unknown place. Your task? Being as stealthy as possible to escape, whilst avoiding spirits trying to kill you. This feels really similar to Visage with the realistic environment and high-quality graphics, but there’s more direction with this game, in the form of letters and messages to keep you hooked. Blood dripping from the ceiling and walls and ominous creaks make for a chilling setting, but when you’re being chased and have to quickly find somewhere to hide, the bricked-up doorways and paths leading to nowhere amp up the terror to a new level. Home Sweet Home has the option for VR to put you right amongst the horror, but it’s not for the faint of heart! Teleport into the sinister mind of an unhinged painter as you immerse yourself into this heavily story-based horror game, made by Polish developer Bloober Team. I hate creepy old paintings, but my morbid curiosity got the better of me here. 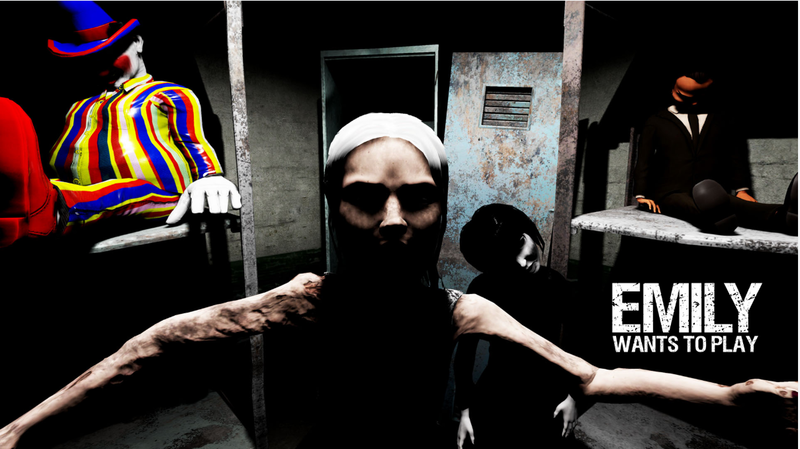 If you love mind-bending storylines which simultaneously grip and terrify you, this game is perfect. 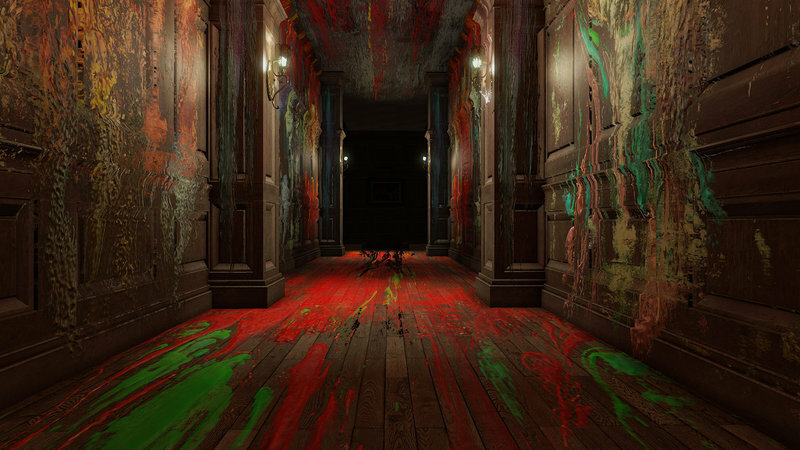 You’ll find yourself in a Victorian house with ever-changing rooms, filled with horrifying paintings that warp and change to mirror the painter’s insanity, and cryptic messages that are scrawled across the walls, in cupboards, and on furniture. It’s easy to feel lost and confused as you try to pick up clues and hooks to make sense of what’s going on, and that’s exactly how you should feel. Plus, the graphics, environment, and soundtrack are just eerily gorgeous and quite psychedelic. Are you a fan of jumpscares? Then you’ll love Emily Wants To Play, a typical example of a game that makes you jolt out of your seat no matter how much you prepare or expect it. In this indie horror that’s more “Boo!” than blood-curdling, you arrive outside of an odd, neglected house to deliver a pizza. Naturally, you walk straight in and the door locks behind you. For the next several hours, it’s your job to stay out of Emily’s path and survive the night. 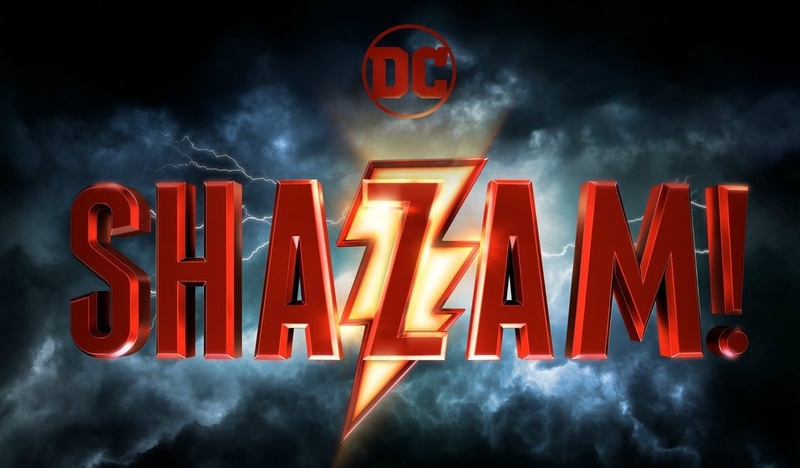 The graphics are more basic for this game than the other titles we’ve explored so far, but honestly, it’s more of a fun thrill than an immersive, serious story, so that’s to be expected. If you hate clowns, evil girl ghosts, and lights that have a mind of their own, then you might want to give this a miss; otherwise, it’s an enjoyable game you can pick up and play without getting too engrossed. And hey, at least you have pizza. 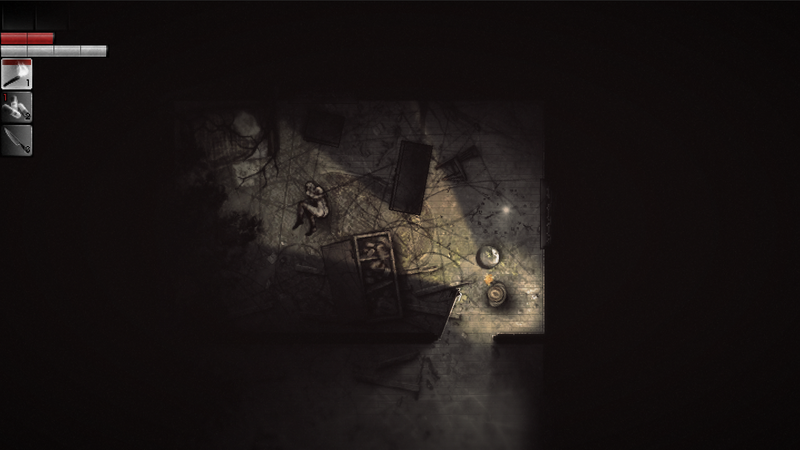 Let’s take a different approach to a horror game with Darkwood; we’ve had plenty of first-person, lifelike adventures, but can you still experience terror in a top-down view? Surprisingly, Darkwood delivers plenty of substance in its free-roaming format, choosing a survival story instead of cheap jump scares (there aren’t any). 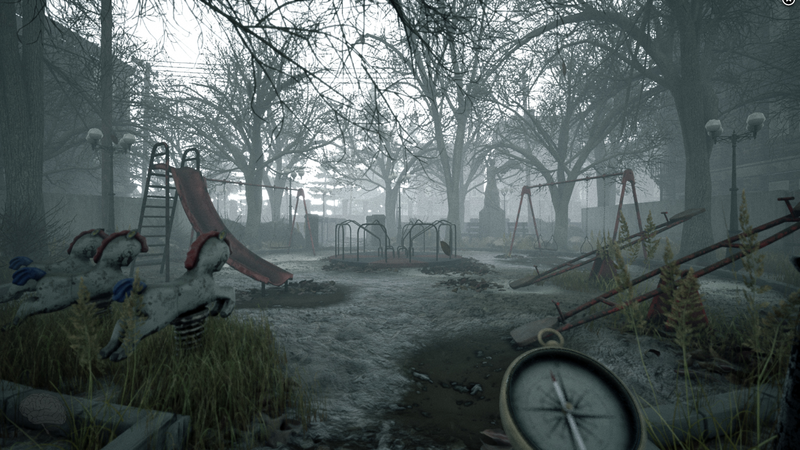 The chilling sound effects help cultivate a creepy atmosphere as you navigate the map, finding clues to the story as you go. Your choices affect the outcome and each decision has consequences, which for a game that plunges you into the unknown, is an added layer of dread which makes this such a playable game. I loved that this was more of a chilling tale than an adventure rife with jump scares, so if you like the more macabre, sinister story that leaves a lasting impression, this is a must-play. Whether you’re a fan of gripping stories, adrenaline-pumping jump scares, or disturbing mind-trickery, there’s an indie horror game to suit everyone. What horror games will you be playing this Halloween?